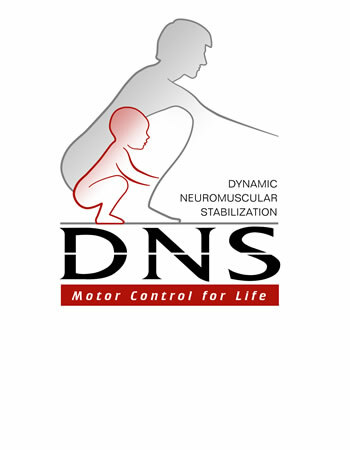 The Lawlor Clinic is proud to provide Dynamic Neuromuscular Stabilization or DNS as it is known. This is a new approach to manual rehabilitation of the body’s movement and posture, based on the principles of how an individual’s movement develops as an infant. It was originally developed by Dr Pavel Kolar from the Prague School of Physical Rehabilitation and it works by stimulating the movement control centres in the brains central nervous system by using specific movements and manipulations. How Can DNS Help You? The first actual movements we learn as a small infant is how to sit up and how to crawl, if a client’s movement can mimic how they first learned to move as an infant, it can help restore the body’s structural and postural alignment. In many cases an injury or discomfort in a joint can be traced back to the client’s movement not developing correctly as an infant, and then basically reprogramming how your body moves, thus eliminating any neuromuscular problems they may have. If you could compare how you move at present, including any problematic areas you may have, to how an infant with ideal movement would move, it is possible to treat your symptoms by reprogramming your neuromuscular system to adapt to a more natural way of moving. This is achieved by stimulating the movement control centres in the brain by positioning the clients body to support itself as an infant would, and then manipulating the body so that it mimics a child’s movements. Because these movements are based on the stabilisation of the spine, they cannot be done voluntarily through training, so the guidance of a qualified DNS practitioner is needed to get the desired results. Dynamic Neuromuscular Stabilization can be used to treat clients that are suffering from mobility problems, postural imbalances and athletes that are looking to improve their mobility. Committed To Helping You – What Next? Please Note: Many of our therapies are covered by the main Irish private health insurers, and you can also see us via a referral from you G.P – so please do ask.